Watercolor in Canson Montval All-Media sketchbook, 90-lb CP paper, 6 x 9" (15.2 x 22.8 cm). Sketched with Sanford uni-ball Micro pen. 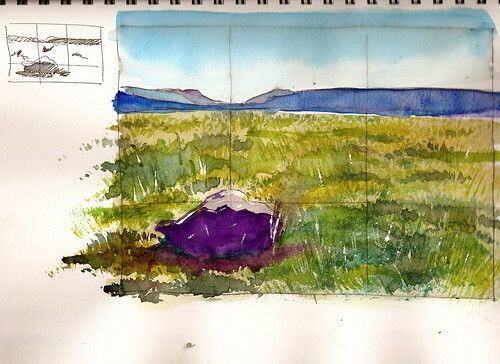 Another sketch from a photo reference taken at Yellowstone Nat'l Park a few years ago.